A screenshot from surveillance-camera footage of the assault. A man has been charged with a hate crimes for an assault on a Jew in Williamsburg Friday night. 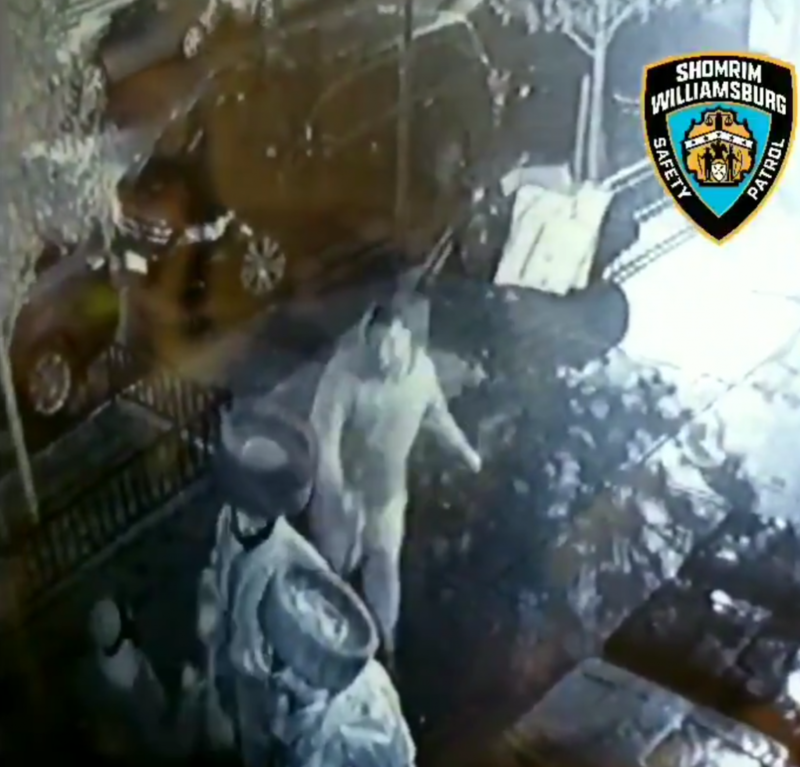 At 6:40 p.m. Friday, surveillance-camera footage shows two chassidic men and a young boy standing on Throop Ave. near Wallabout St. Suddenly, the assailant walks up behind them and punches the shtreimel off one of the men, then punches him in back of the head and runs off. The victim, 33, suffered minor injuries. A source familiar with the incident tells Hamodia that the assailant did not say anything during the assault. On Tuesday, the NYPD arrested Enrique Gerena for the crime. He was arraigned Wednesday on charges of third-degree assault as a hate crime, third-degree attempted assault as a hate crime, and second-degree harassment. Gerena, 32, lives on Willoughby Avenue, one mile from where the assault occurred. Updated Wednesday, December 5, 2018 at 6:01 pm .